The online sale of pet rabbits is a huge problem and rapidly increasing. 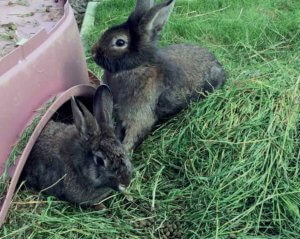 Rabbits are often sold without any accompanying care advice and without any vetting of the buyer. Rabbits are probably the most misunderstood of pets, so when people take them on without knowing how to care for them it results in neglect and suffering on the part of the rabbit. Pet shops in the UK are licenced by their local authorities and subject to annual inspections. They are also public places and welfare standards front of shop can be monitored by the public who can report any concerns. Pet shops should also be licensed according to the Sale of Pets 1951 legislation, and according to the Model Licence Conditions that were updated in 2013. All of this doesn’t mean that there aren’t any problems in terms of welfare, but it at least provides some protection for the animals, and some legal recourse. Back in 2013 the RWAF discussed developing software with Hindesight, with the specific task of finding unlicensed online breeders/sellers. This software is now in use by other charities and the RWAF are very proud to have led the way here. 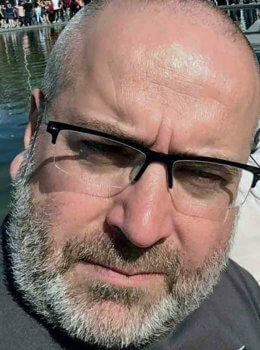 As you may already know from previous updates, we are very lucky to have Mark Dron in place as our Welfare Officer, who is monitoring the data provided by the software, as well as responding to other concerns that we see online. This is a recap of what Mark has been working on during the first six months with us. The Capone Campaign is designed to identify ‘rogue’ rabbit breeders, who use internet sales platforms (such as Ebay, Gumtree, Facebook, Shpock etc), as well as Pet Fairs and Boot Fairs, to sell rabbits, often with no welfare considerations for the animals, no health checks or vaccinations and no Local Authority licensing in place for running a pet sales business. The campaign relies on software provided by Hindesight, which maintains regular surveillance on sales sites looking for key words, and is then able to identify rabbit breeding and sales across the various platforms. It links common phone numbers, user names and email addresses, to minimise the ability of these ‘rogue’ traders to hide behind multiple anonymised identities. The RWAF also relies upon information provided by concerned members of the public about the welfare of rabbits in trade, and proactive research and investigation by the dedicated Animal Welfare Officer/investigator. A post has been funded by Pets Corner since late 2015, working eight hours per week and tasked with a duty to carry out proactive and reactive investigations, based upon data provided by Hindesight and other sources. In May 2017 a new officer was retained by the RWAF, and the campaign was able to continue with its mission to identify ‘rogue’ traders and use every avenue available to it to minimise the impact of their activities. This includes referral to Local Authority Licensing Teams regarding failure to license pet sales businesses, the Police National Wildlife Crime Unit, RSPCA Intelligence Team and HM Revenue and Customs (HMRC). The new officer brings with him over 25 years’ experience of investigation and enforcement work, coming from service with the Police as a Wildlife Crime Officer and Team leader of proactive intelligence teams, as well as from leading intelligence and investigation teams in a variety of Local Authority and Government agencies including Trading Standards and the Financial Conduct Authority. May 2017: The new officer was recruited and commenced duties on or about 28/05/2017. They were referred to the Local Authority regarding the operation of an unlicensed pet sales business, and HMRC’s Tax Evasion Unit in London. as well as the start of research regarding sourcing a Criminal Justice secure email address and Data Protection Registration. Ongoing long-term project work was also started in June. This involved the identification of traders using Gumtree and Pets4Homes with multiple identities and believed to be operating in the South East of England and further afield. Work also started on the creation of a database of online traders, starting with those in SE England and London, and intended to develop across the UK as time allowed. In tandem with this was the creation of a database of licensed sites, sourced from Open Source Local Authority Information and Freedom of Information requests. August 2017: August saw the commencement of our long-term enquiry to identify one of the most prolific ‘rogue’ traders on the internet based in Halifax, who appeared to be linked to organised crime in that area. This enquiry is ongoing, and initial referrals have already been made to the National Wildlife Crime Unit (NWCU) and RSPCA as well as enquiries with the relevant local authorities. Commissioner for Data Protection purposes, which allows us to handle certain sensitive data. September 2017: September saw enquiries commenced in to the activities of traders in Kent, Essex, Suffolk and Wiltshire. An urgent referral was forwarded to the Animal Welfare Officer (AWO) regarding a female breeder operating on Facebook, who appeared to be selling rabbits via that platform despite having had RVHD2 diagnosed in her animals. An urgent intelligence referral was made to Wiltshire Trading Standards and the RSPCA, once the breeder’s last known address had been identified. October 2017: Work began on investigations into the activities of a Leeds based trader, who has been identified as a prolific breeder and advertiser, and a further Kent-based trader, who again is a prolific advertiser and sells using her own website. October also saw work begin on a project identifying vendors of rabbit hutches, both online and in shops, offering products claiming to be authorised and recommended by the RWAF. To date two traders have been referred to local Trading Standards teams and the Advertising Standards Authority for making misleading claims in their advertising. November 2017: Work continued regarding online and physical sellers around the South East. 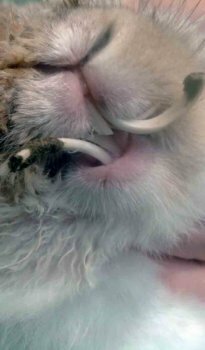 This included investigations regarding an urgent RWAF Management referral, following complaints about a breeder, who had been seen selling rabbits at a Pet Fair in the Thames Valley area, and keeping them in atrocious conditions. This seller was traced to Kent, where they run a Rare Breeds Centre from a Farm, the animals there are also being kept in suspect conditions. Sales account, leading to a woman in Herne Bay, Kent who is running a rabbit breeding, sales and accessories website from her home address. This individual has been referred to her Local Authority, Canterbury City Council and to HMRC. and the conditions in which it and other rabbits are depicted fall well short of basic Animal Welfare Standards. Enquiries have linked this individual to the sale of chickens as well as rabbits via a second online sales platform. Once again the conditions depicted are atrocious and urgent action is needed to intervene from an animal welfare standpoint. As such this was the officer’s priority investigation for December, although initial intelligence regarding his believed location and phone number(s) has already been passed to the RSPCA and the National Wildlife Crime Unit. In addition December has also seen the identified trader records moving north and west from the South East where resources have been concentrated for the first six months of the AWO’s tenure with the RWAF. This report covers the period 28/05/2017 to 31/12/2017, which spans the current tenure of the Animal Welfare Officer/Investigator employed by the RWAF as part of the Capone Campaign. intelligence and investigation functions of other Animal Welfare charities and enforcement agencies. Therefore we now have Data Protection Registration, CJSM Secure Emails, and utilise National Intelligence Model referral forms, Magistrates’ Court Act compliant statements and the like. In addition to this ongoing work, investigations have been instigated, in particular with regard to urgent cases, raised either by concerned members of the public/RWAF Management, or through issues being identified by the AWO. Six of these have been completed and referred to the appropriate local authorities, and nine intelligence referral packs have been passed to other enforcement/animal welfare agencies. In addition to this, the AWO has also fielded enquiries relating to ongoing animal welfare issues, and provided input to government animal welfare legislation consultations. It is anticipated, now that the lion’s share of the overhaul of the administration of the function has been completed, that 2018 will see an exponential increase in investigation and intelligence work generated by the AWO.